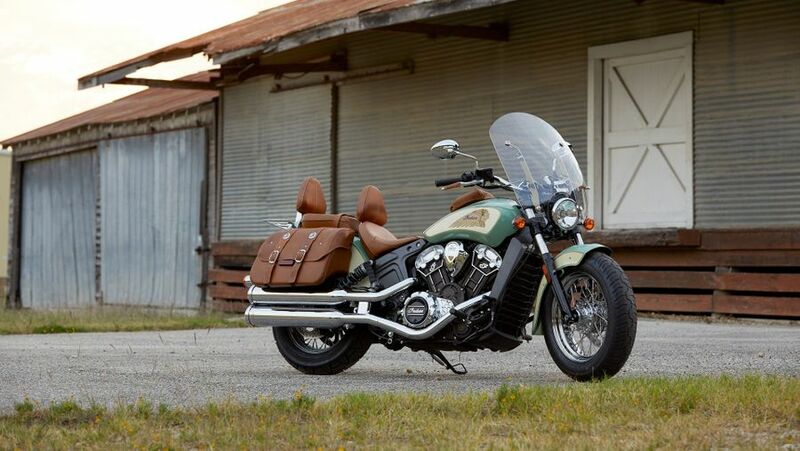 Interested in buying an Indian Scout? The Scout is classic, upright cruiser style but in a light and low, novice-friendly package – and also one that doesn’t compromise spirited riding. Being a twin it’s naturally slim; the single seat (a pillion’s an accessory) is an ultra-low 673mm which shouldn’t intimidate anyone, while the wide, flat bars and only slightly forward footpegs give an upright, natural posture that’s more roadster than laid-back cruiser and puts the rider fully in control. 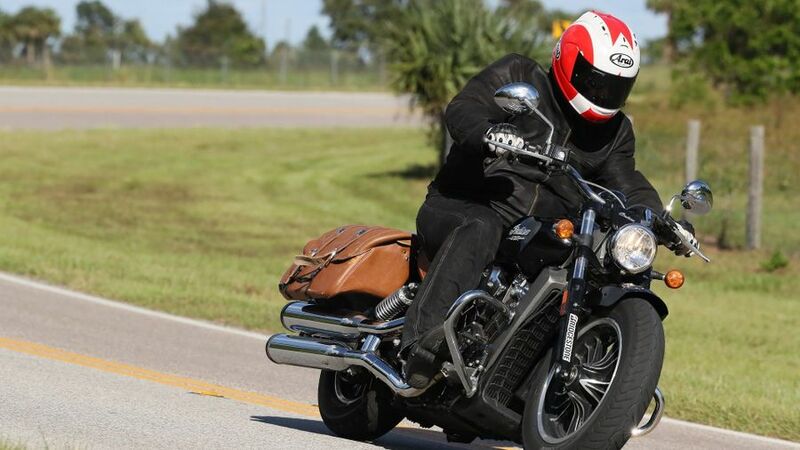 Cruisers are not inherently the most versatile of motorcycles. The upright riding position and lack of weather protection makes motorway cruising tiring and often-limited ground clearance restricts overly enthusiastic ‘bend-swinging’. On the other hand, the Scout, being slim and manageable, makes a decent short-hop commuter; it’s nimble and easy around town and panniers and screens are available as accessories for those who want to tour, so it’s not bad either. Drag bike-style, straight line blasting ‘hot rods’, such as Harley’s Breakout, aside, cruisers are usually the antithesis of performance machines, being instead all about relaxing cruising and posing. The Scout, however, confounds most of that: it’s 100bhp performance is more on a par with performance roadsters such as the Ducati Monster and simply embarrasses Harley’s rival Sportster while, despite having only a single front disc and fairly basic twin piston caliper, it’s braking, as long as you assist it with a dab of rear, is up to the job, too. As with its performance, the Indian bucks cruiser convention. In place of the traditional, old-fashioned tubular steel twin loop frame, the Scout instead has a frame made out of cast aluminium sections. And while bowing to tradition with a twin shock rear end, they’re cleverly laid down (for styling reasons) and calibrated. The result of all that is a decent ride, a low CofG that makes maneuvering and rapid changes of direction a doddle and, best of all, a stability and zest for bend swinging few cruisers can match. Although sportier than most, the Scout’s still a fairly laid back, under stressed cruiser so is never going to have too great a hunger for the usual consumables such as fuel, tyres, brake pads and so on. What’s more, final drive is by a Harley-style belt, so there’s no chain wear to worry about, either. On the slight downside, fuel consumption is a little higher than we expected, at an average of around 40-45mpg while Indian residuals have yet to prove themselves as robust as market-leading Harley. It’s still a little early to be absolutely certain, seeing as the Scout was only introduced in 2014 and is an all-new design, but we’ve heard of virtually no problems, build quality is high and most examples are also likely to have led a fairly gentle, cossetted life, after all. On top of that, under Polaris ownership (the US snowmobile and ATV giant bought the historic Indian brand in 2011 launching its first all-new bikes just three years later), quality and robustness has so far seemed second to none. No doubt inspired by being newcomers to the market, Indian impressively currently offer their bikes with a five-year, unlimited mileage parts and labour warranty, which takes the form of the industry standard two-year warranty then automatically extended a further three years for privately owned machines. Serving-wise, the Scout’s better than most. After the initial 500-mile oil change, routine services are due every 8000 kms, although the major, and most expensive valve adjustment service is only due every 32,000. As is often the nature of ‘junior’, entry-level cruisers, the Scout’s standard specification is fairly basic. It comes with the required ABS, a single but proficient dial (including digital panel), solo seat and… that’s about it. Again, as is the norm with basic cruisers, if you want anything more their manufacturers eagerly direct you to their accessories catalogue. That said, the cheaper Scout ‘Sixty’ is even more basic with much less chrome and fewer detail touches. The even lower, chopped-down Scout Bobber, meanwhile, as introduced in 2017, is equally basic. For decades, if you wanted a genuine, US-built, entry-level cruiser you had a choice of just one: Harley-Davidson. No more. 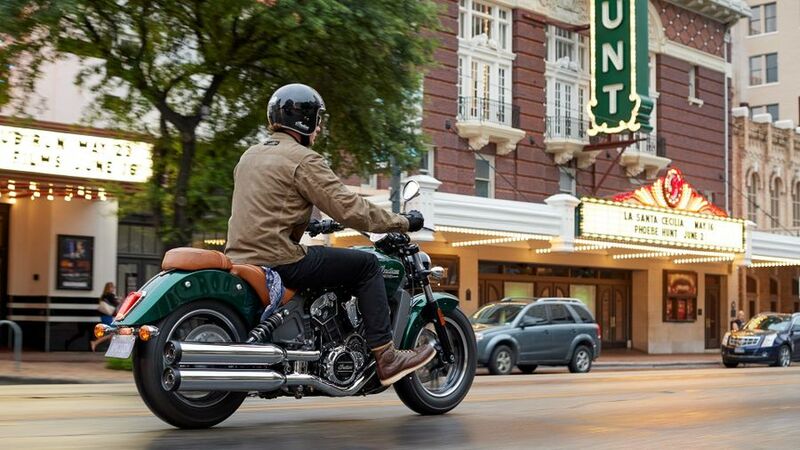 The Scout is not just a credible alternative to the Sportster, in most respects it outperforms it and, while the 1133cc version is perhaps a little pricey, the Scout Sixty is close enough to cause plenty of sleepless nights in Milwaukee – it’s that good. 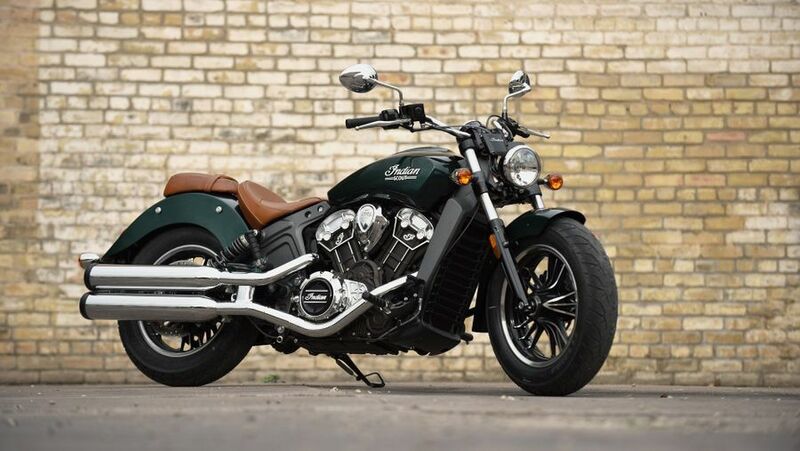 And while choosing anything but a Harley is, for many, still a massive ‘ask’, the Scout’s success so far, particularly in the US, proves its abilities.